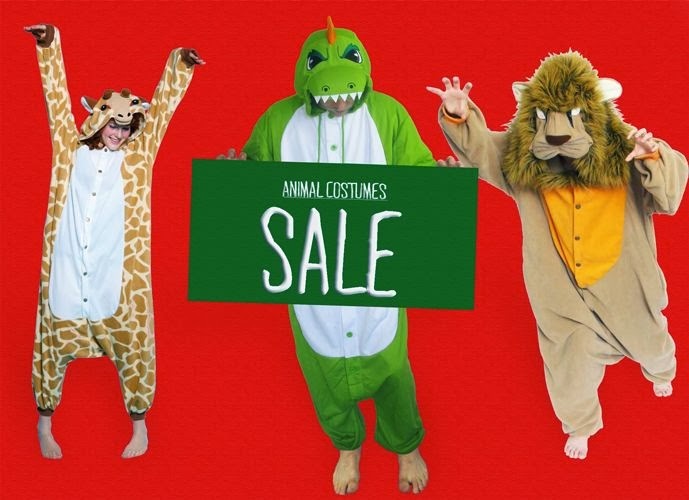 Animal Costumes Blog: We're having a SALE! We're having an absolutely huge sale, our biggest ever no less, as we're pretty desperate to clear some space for some amazing new products that we've got arriving in the next couple of weeks. There are all sorts of animal onesies, costumes and clothing going "cheap cheap" on our sale page over at www.animalcostumesshop.co.uk/sale-63-c.asp, with up to 50% off. The sale is set to end on November the 14th or sooner if we start selling out of things - so get in there quick-style!